PM HAS DESIGNS ON ANNA’S WORK. Manchester artist Anna Roberts was surprised and honoured when an Instagram image she had designed was shared on Tuesday by Prime Minister Theresa May. Liverpool-born Anna drew a picture which represented Manchester on the anniversary of the terrorist attack on the Manchester Arena. 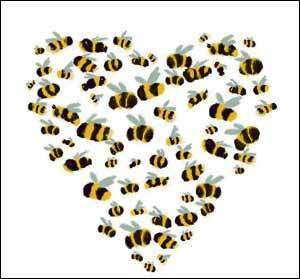 The 28-year-old said: “I decided to draw loads of bees in the shape of a heart. “The worker bee has become the symbol of the industrial history of Manchester. You see bees on bins and lampposts in the city centre. “Artwork has popped up everywhere with bee symbols. “The bee has started to take on a life of its own to represent the spirit and community of Manchester. “Tattoo studios gave free bee tattoos or donated part of the proceeds to charity to symbolise that Manchester is strong and united. “I wanted to do something a bit different. The heart in my image represents Manchester’s community spirit after the event. I added a lot of Manchester- related hashtags. A few hours later the PM shared it on her Instagram, adding the message: “Today my thoughts are with those in #Manchester who were lost in that terrible night and their loved ones who so bravely battled to rebuild their lives. All of you — and many more in the great city — are the very best of what this country stands for.” (sic)Anna said: “I was very surprised to receive a notification of the re-sharing on my phone. One of Anna’s pictures has not only been chosen by the Prime Minister, but also by an American Jewish exhibition, ‘The Invisible Jew’, which opens in Red Bank, New Jersey, on June 24. The exhibition will highlight the lack of women in the Orthodox media, which does not print pictures of women. Awareness of the issue of the lack of women’s pictorial representation has come in the wake of the #MeToo movement. 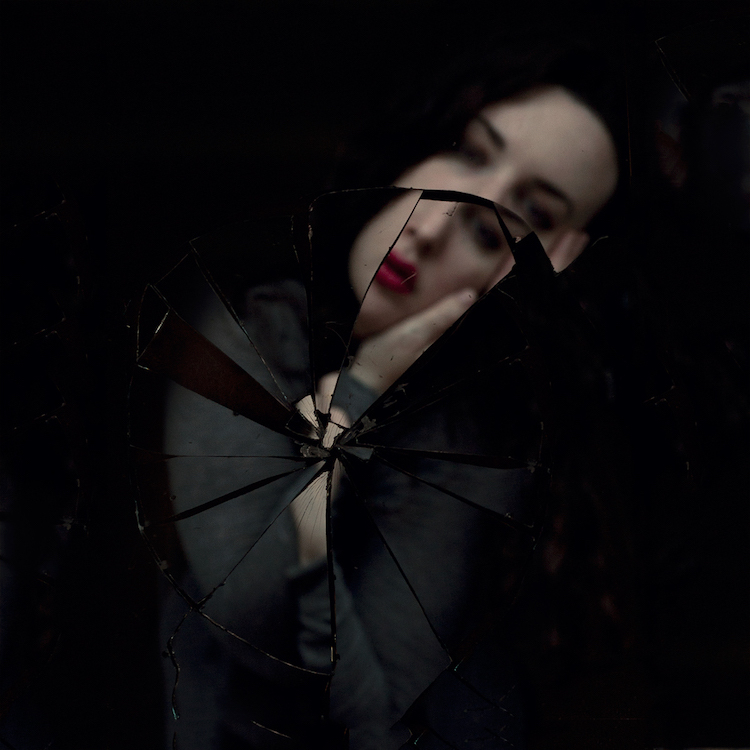 Anna, who read photography at Leeds University and works as a conceptual photographer, submitted to the exhibition a self-portrait, seen through a cracked mirror, which was stuck back together again. The picture is called ‘Broken’. 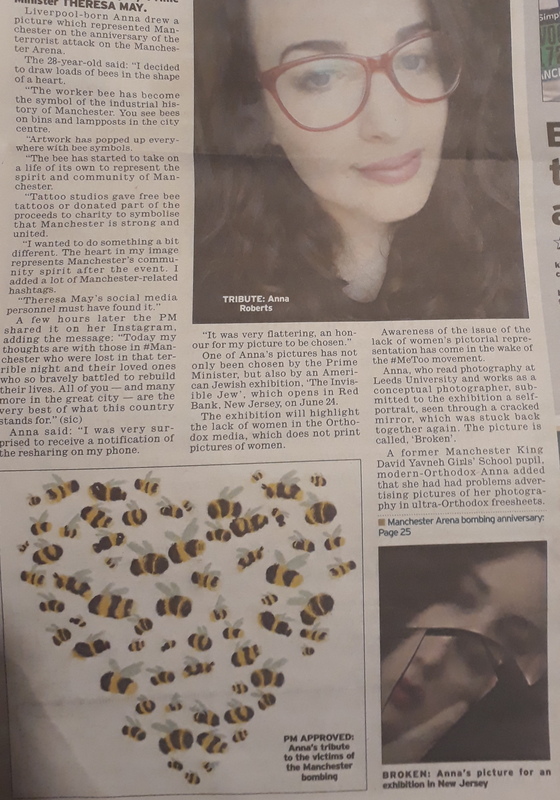 A former Manchester King David Yavneh Girls’ School pupil, modern- Orthodox Anna added that she had had problems advertising pictures of her photography in ultra-Orthodox freesheets.